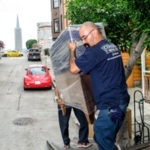 San Francisco Moving Services | Cummings Moving Co. 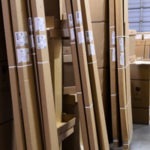 The moving services at Cummings Moving and Storage include everything from whole-house packing, specialty crating, furniture wrapping – pianos, art, antiques, and heirlooms, too. Our long-term, dedicated employees make up your pack and move crew. 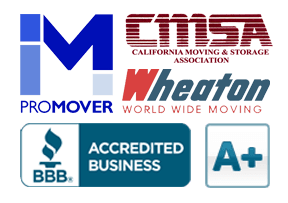 Be it residential movers, small business movers, antiques movers you need, we are happy to provide a FREE MOVING QUOTE. 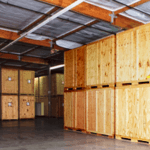 If you require warehouse space for your business or temporary or long-term storage space for your personal belongings, Cummings Moving and Storage has just what you need. Moving boxes and moving supplies are available as well. “What an awesome team… They have great customer service and support. I have used them twice. The second move was quite complicated. It involved multiple locations, donations, packing and crating valuables. From start to finish the team at Cummings instilled a confidence that we could get through this incredibly difficult and emotionally charged move. I felt like they had my back and provided an extra brain.” – Anne D. Read more reviews.